November of 1945 and the war is over. The United States Navy decides it no longer wants the molded plywood glider airplanes, being made on the assembly line at Allied Aviation, in Dundalk, MD. The management and workers stand, looking at the five finished and tested ones they had made and the fifteen more along the way. No further money will be available for operations, now; not even severance pay or rent on the big building. They decide to put the gliders aside and to build boats, using the veneers, glue and baking oven from the molding operation of the wooden airplanes. They fashioned a slot for the center keel and stem, to this, were stapled the edge of each layer of veneer. This was made of thin layers of mahogany, which had been coated with heat actuated glue. The layers were put on at a sharp angle to each other so that the grain could give maximum strength in both directions. Outside layers were coated with glue on one side, all the others, both sides. 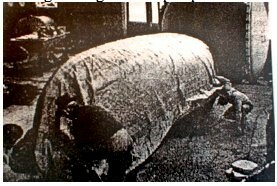 After five layers, it was covered with a heavy rubber blanket with vacuum hoses running to a big vacuum pump. The whole affair was then rolled into the autoclave, – a huge oven, and baked at high pressure and steam, for an hour at 375 degrees hot! Really baked! 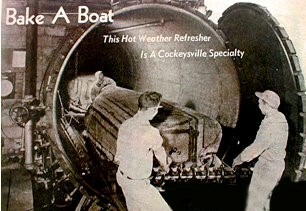 The three founders, Ed Hewitt, Charley Wingo, and Charles Abramo each provided guidance for the different aspects of boat construction. Ed Hewitt was a CPA and office manager and made the advertisements. Charley Wingo did a lot of the design and drawing work, set up the shop and made constant production improvements. Charley was a perfectionist, they said. 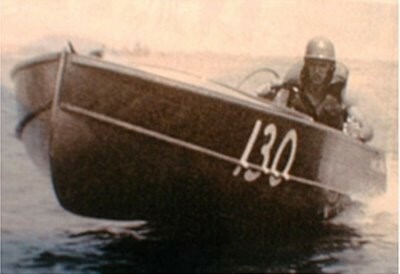 Charley and his brother Lou took the boats and motors and raced and set records. They made and offered for sale a cut down model of the winning racer. All hulls were minimum thickness and all structural members glued, providing stiffness and rigidity, without extra weight. Charley Wingo and Charles Abramo come up with many shapes, sizes and interior layouts were offered something for everyone and to achieve eye pleasing styles. 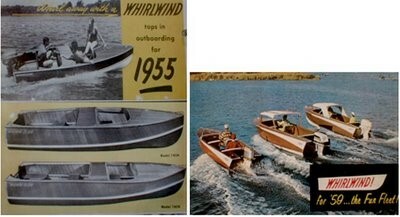 I’m very pleased to see a write up on a whirlwind boats . I own one it’s a 1957 deluxe runabout 16 ft. and I’m the original owner. Over the years I’ve enjoyed the use of this boat and it’s one of the finest molded plywood boats that were available back in those days. They are easy to maintain it’s used primarily in a New York New Jersey salt water, which is probably a no-no for most of you. Because of its building techniques it maintains and retains its strength and durability . It’s pleasing to the eye and enjoyable to use. With a 35 hp Evinrude it was easily able to pull two skiers because of its light weight construction . All of us in the family learned how to ski behind that little boat and it’s become short of an heirloom. Thank you for your research on its origin always interested . The Globe Corporation of Chicago also produced wood gliders in WWII and built boats after the war. 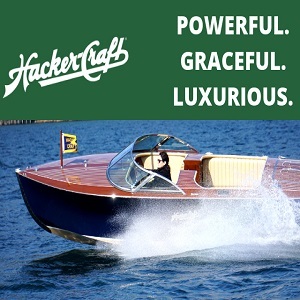 They built a 14′ long inboard with a split cockpit for two years in the early 50’s. The boat was called the Globe MasterCraft. About 270 were built in total.